Despite having the honor of holding the top place in the Jalopnik universe with the McLaren MP4-12C, the independent British carmaker has bigger plans. 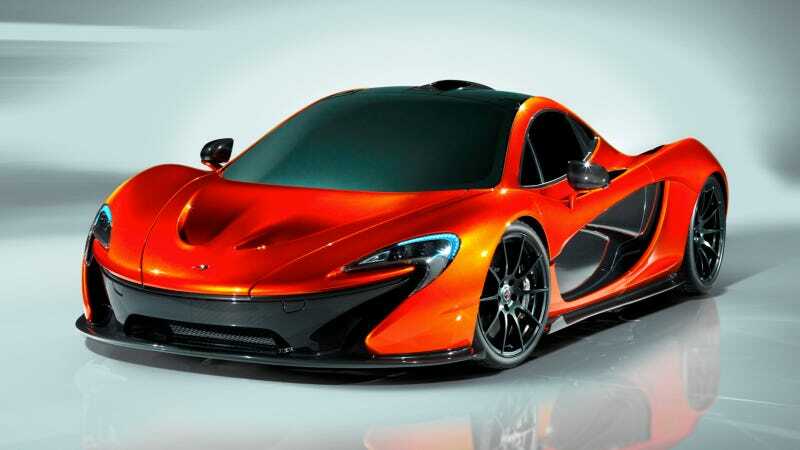 Behold, the much teased McLaren P1 supercar. The replacement for the venerable McLaren F1 and the dream of drivers everywhere. McLaren promises nothing less than "the best driver's car in the world on road and track." For once, we're not at all skeptical. What you're seeing is not a production car exactly. This is a "design study" that'll debut in person at the Paris Motor Show but one that is supposed to preview the next generation car — set to go on sale within 12 months. Here's what McLaren's chairman Ron Dennis has to say about it "P1 will be the result of 50 years of racing and road car heritage. Twenty years ago we raised the supercar performance bar with the McLaren F1 and our goal with P1 is to redefine it once again." Otherwise, McLaren is fairly mum on details. It'll be faster and more expensive than the 12C, but otherwise they haven't said much. There are plenty of rumored specs that say the vehicle will have a 3.8-liter V8 producing 803 horsepower matched to a 160 horsepower KERS system giving it 963 combined horsepower. Are These The Specs Of McLaren&apos;s Ultimate Hypercar? Rumors, yes, but when McLaren says they'll build a car that will be the "quickest and most rewarding series production road car on a circuit" there's evidence to back up their claims. They've done it before. We'll be at the Paris Motor Show later this month shooting it in glorious detail.